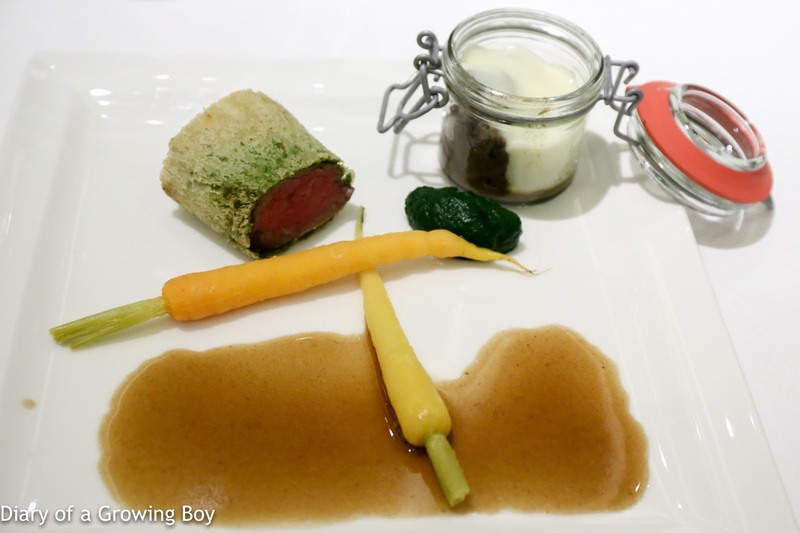 2004 Pol Roger Cuvée Sir Winston Churchill - ripe on the palate, drinking beautifully. 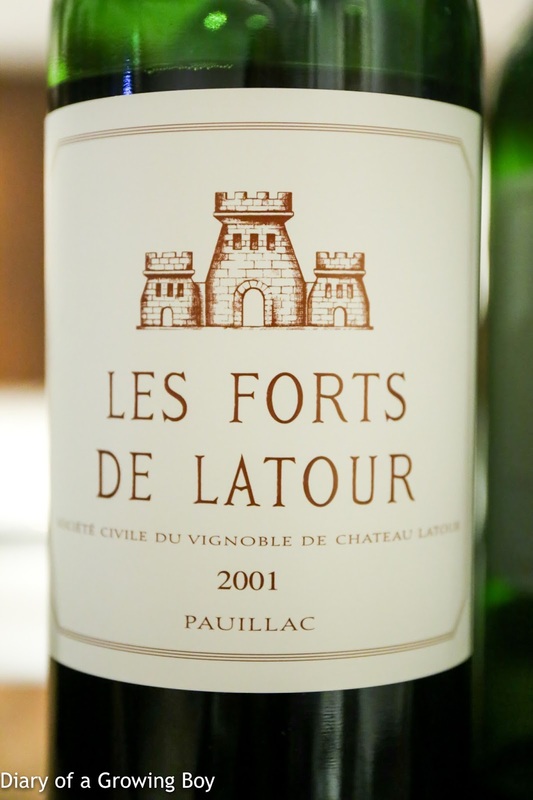 2001 Les Forts de Latour, en magnum - classic Pauillac, with smoky, pencil lead, earthy, wonderful ripe fruit, fragrant cedar notes. Beautiful. 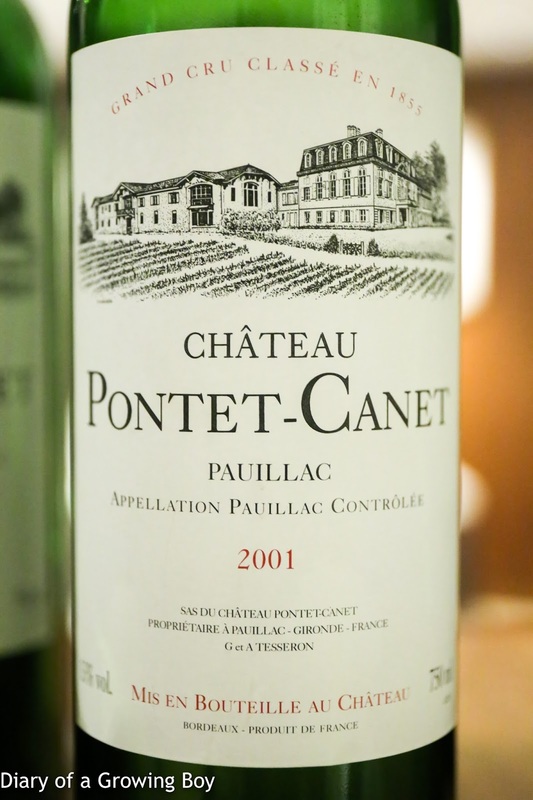 2001 Pontet-Canet - smoky, minty, ripe fruit, a little more concentrated than Les Forts. 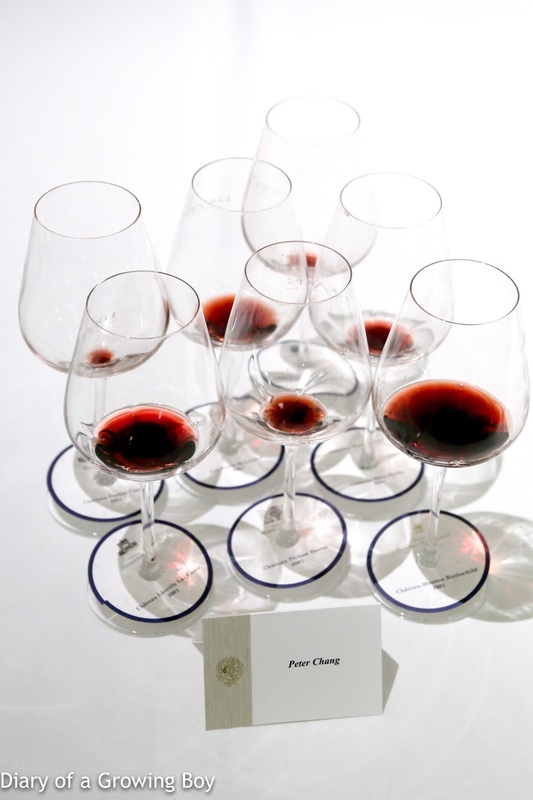 Riper and sweeter, but acidity also higher on the palate. Later on also showed cedar notes. 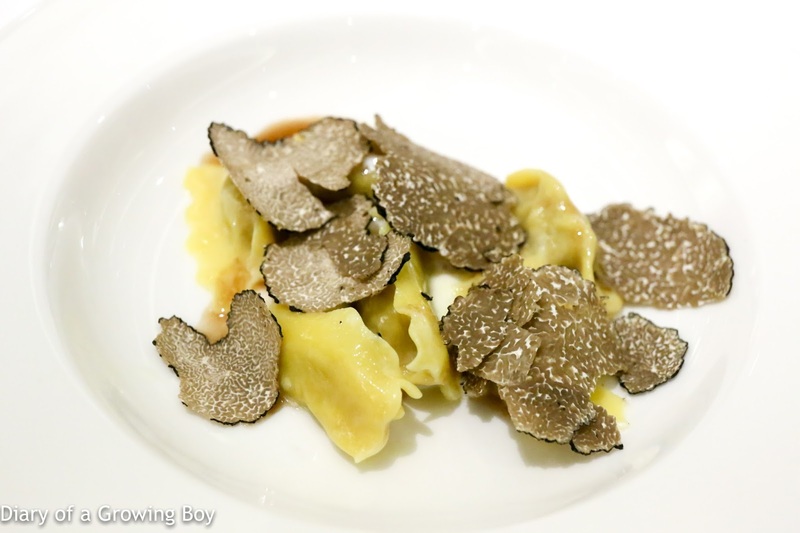 Wood pigeon and winter black truffle agnolotti, ricotta, pigeon jus - the wrapper for the agnolotti was thicker and more chewy than expected, but the pigeon stuffing inside was very smooth, and very delicious. 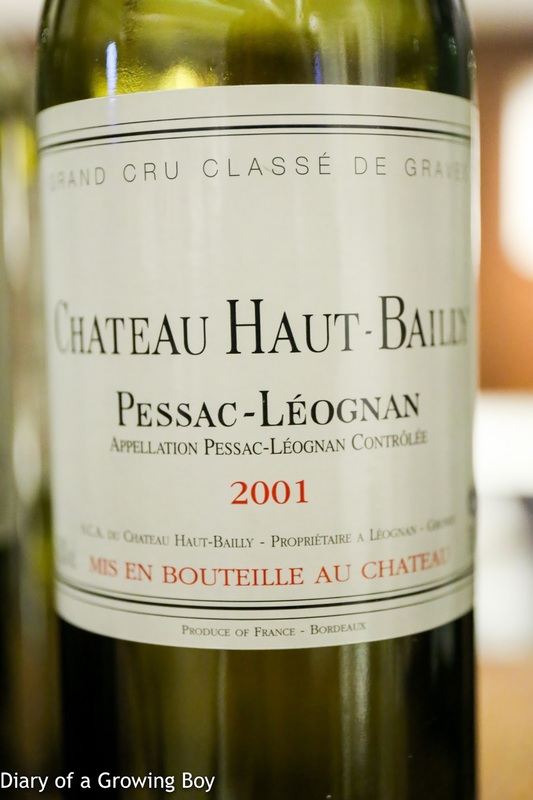 2001 Haut Bailly - fragrant nose with cedar and smoke. 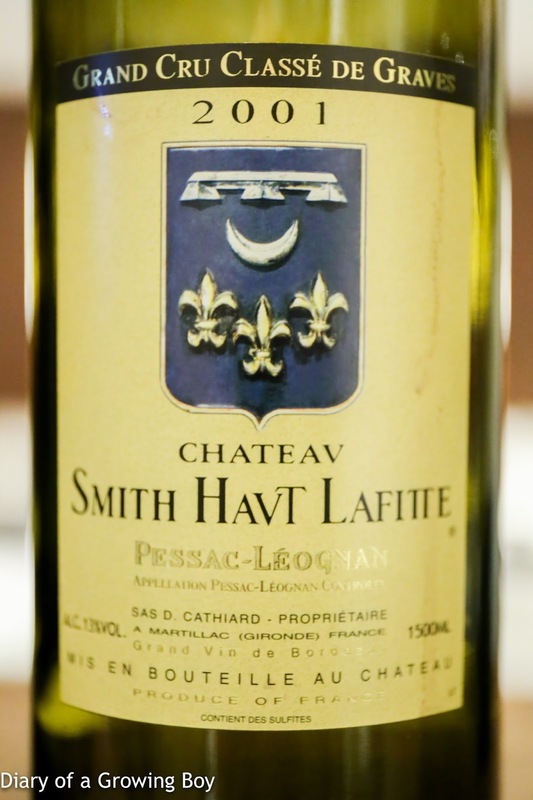 2001 Smith Haut Lafitte, en magnum - lovely and fragrant nose, with more on the body. Really nice. 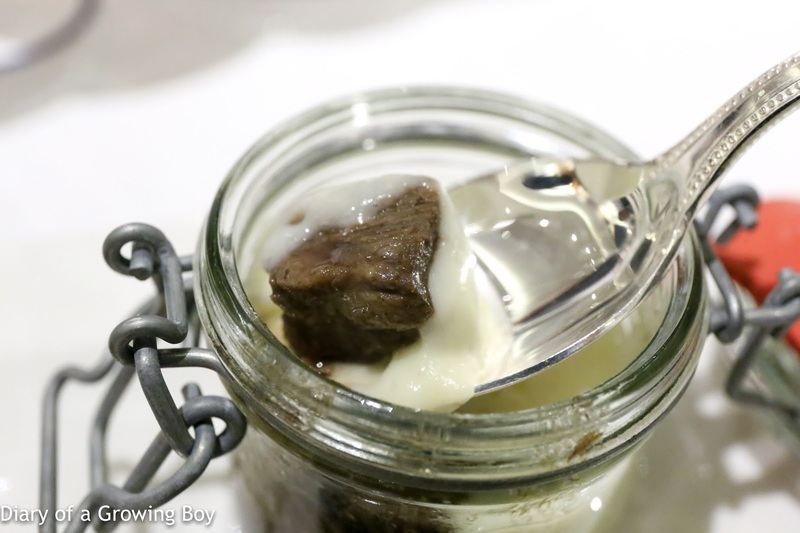 As one of my fellow diners - who is well-respected in the local food and wine circles - remarked, the tenderloin was flavorless. 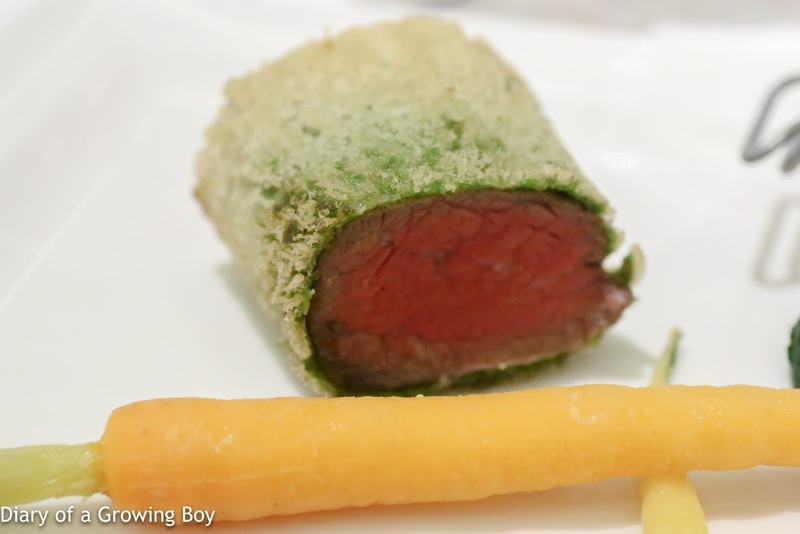 It was very tender, and interesting to have it served en croûte, but ultimately it failed the flavor test. 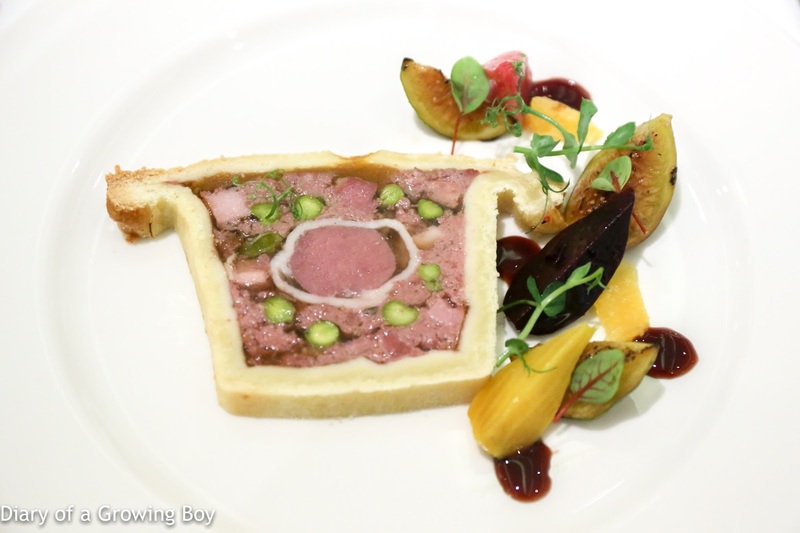 The cheek, however, was nice and tender. Perfect with the parsnip purée. 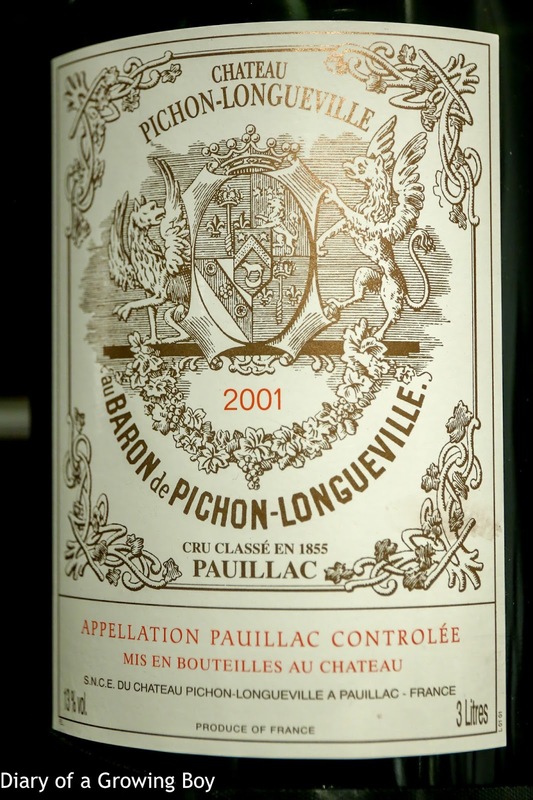 2001 Pichon Baron, en double-magnum - soooo ripe and sweet on the nose, with a little coffee. Very fragrant and lovely. 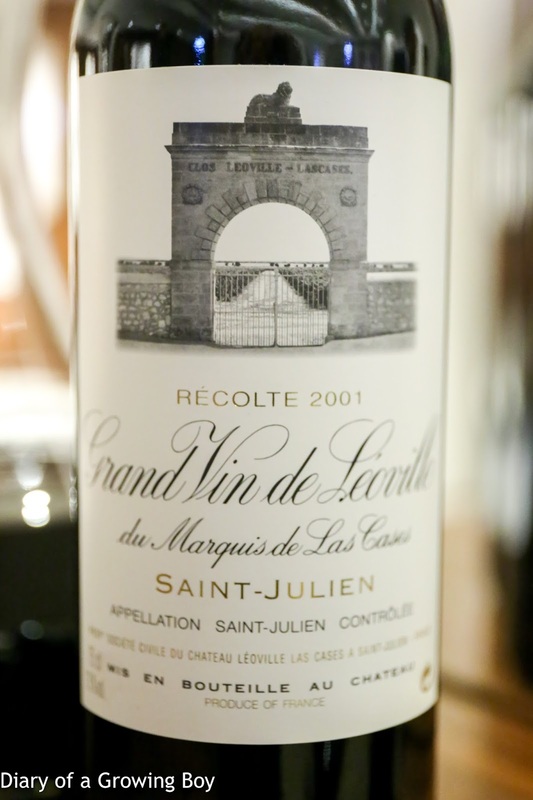 2001 Léoville Las Cases - a bit more green on the nose, with exotic spices and dried herbs. Nose seemed more open with cedar and earthy notes. 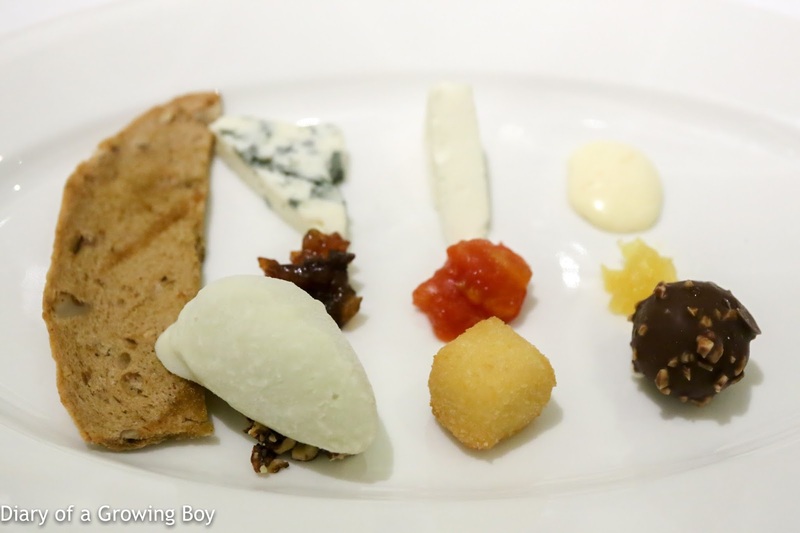 Brillat Savarin, Époisses, Bleu de Brebis, assorted marmalades, toasted walnut bread - how interesting to find the three different types of cheese paired with different marmalades, and even more interesting to find the chocolate and sorbet to be made with the cheese that they were being paired with. 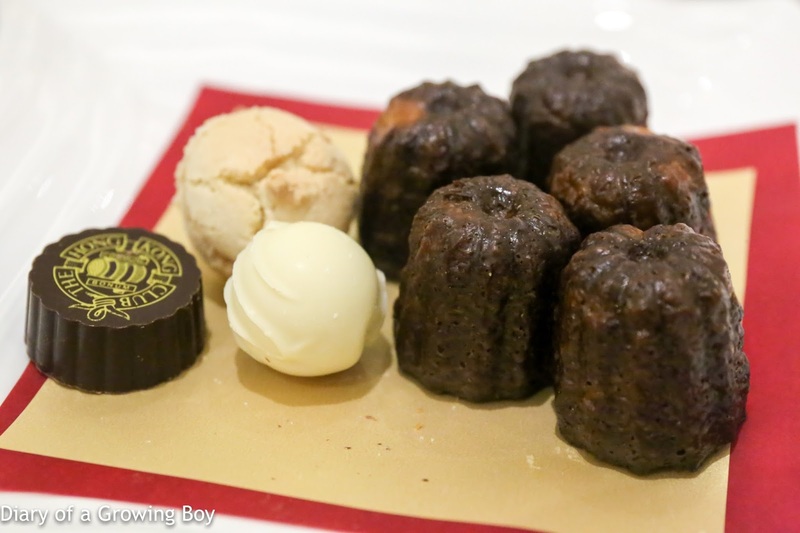 Imagine my surprise when the filling inside the chocolate bonbon turned out to be savory! 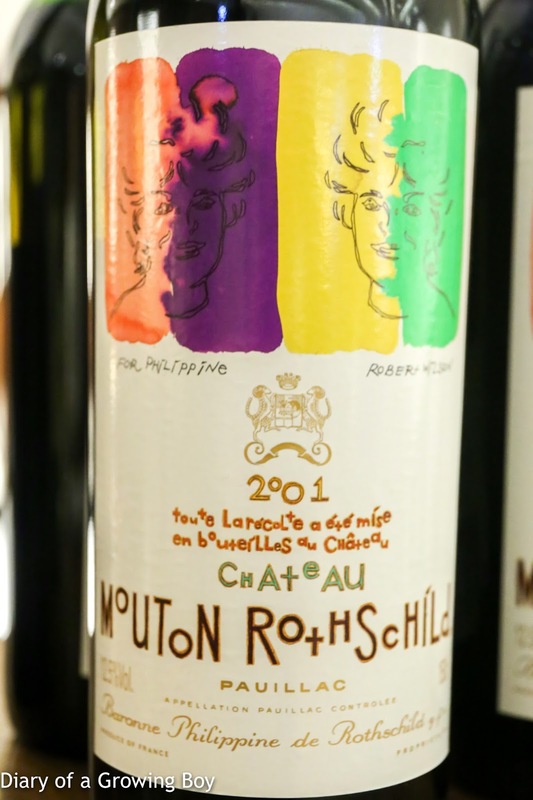 2001 Mouton-Rothschild, en magnum - lovely nose with lots of coffee, sweet, smoky, and a little lighter on the palate.